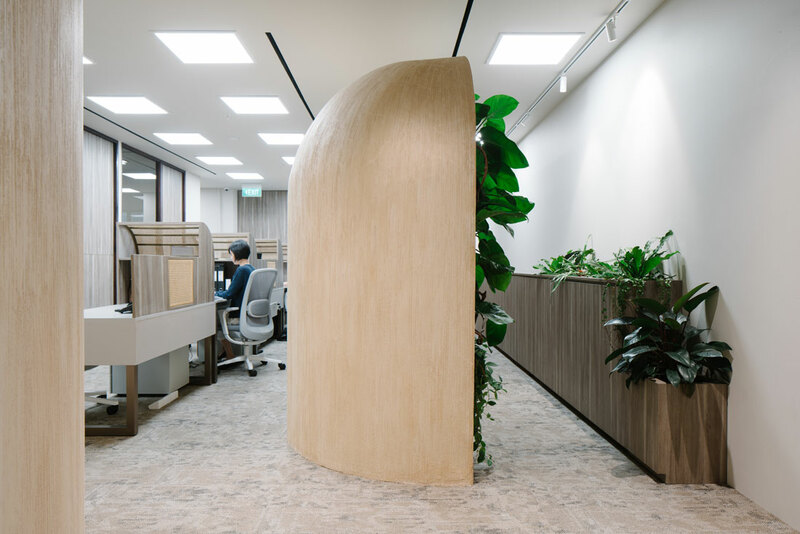 Tropical rainforests, vernacular longhouses and natural landforms inspired the unconventional design of the Verdant Spine Office. 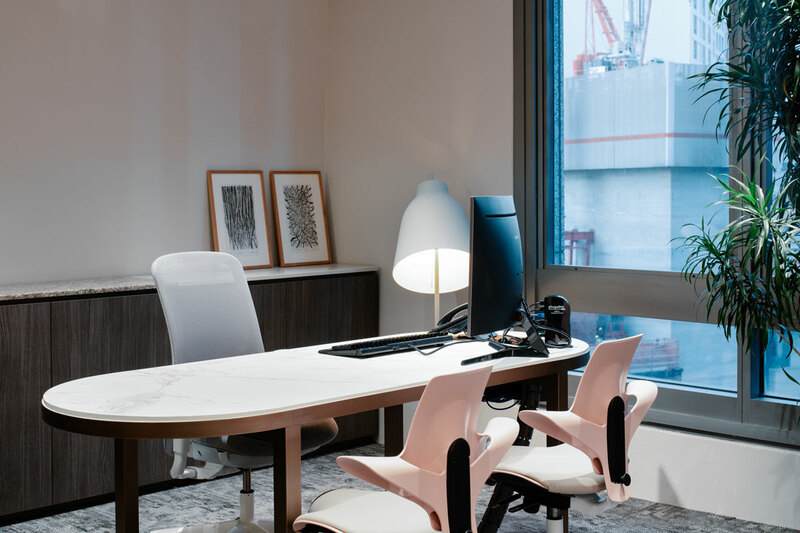 There’s no argument that greenery in workspaces is highly beneficial to staff and the office environment in general. Aside from providing visual relief, plants also reduce anxiety and stress, improve concentration and help to reduce airborne dust levels. All this points to better health, increased productivity and happier employees. But there are no token green pots dotted around this office. 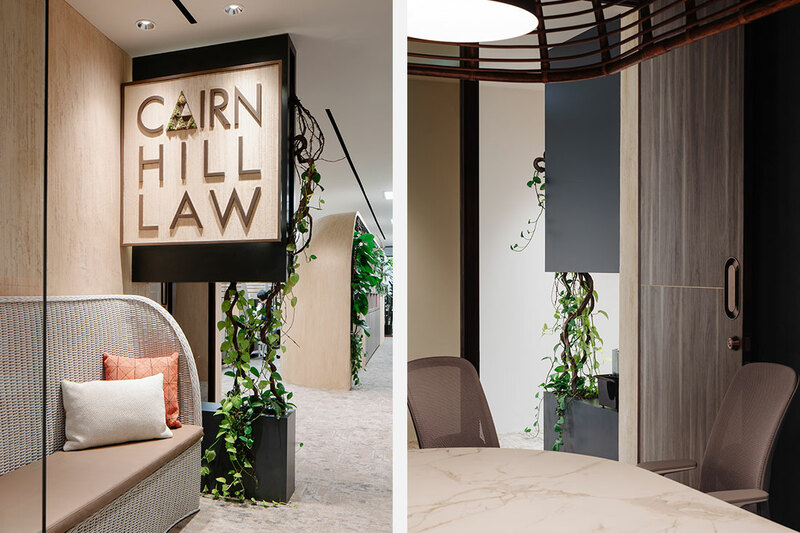 Instead, Studio SKLIM’s design for the office of Cairnhill Law is an all-encompassing biophilic environment. 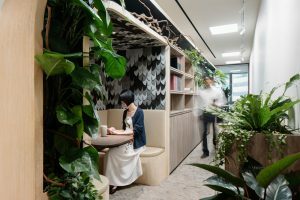 “Green walls are all the rage, especially in Singapore, but we have introduced our own take by envisioning a tropical jungle setting for the flora pockets,” says Kevin Lim, Principal of Studio SKLIM. 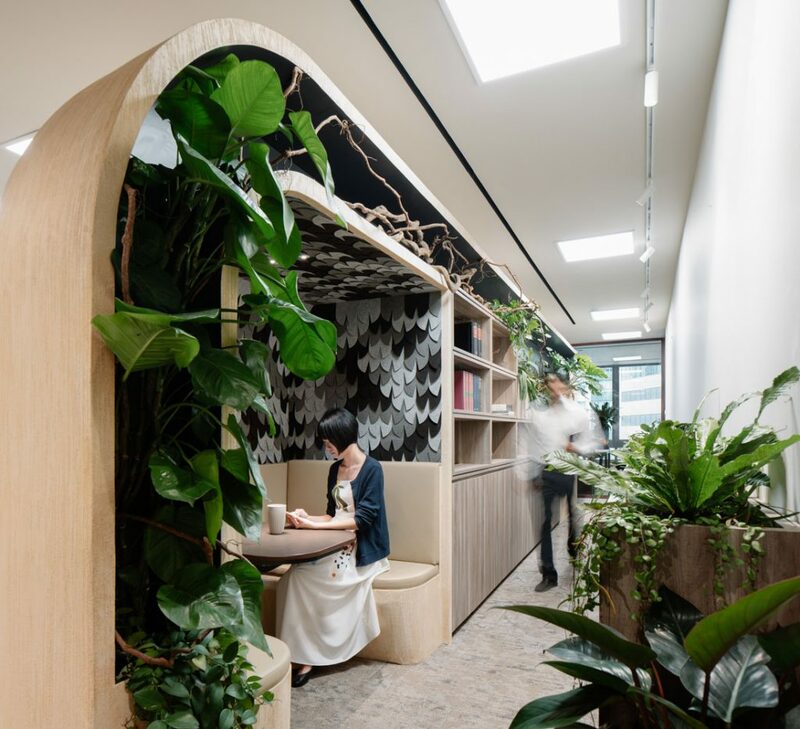 Visitors who expect neutral tones and cubicles characteristic of such office types are surprised as they are welcomed into a delightful interior that sees greenery climbing over carpentry. The small space for seven staff required a variety of public, private and semi-private spaces. A ‘wow’ factor was also requested to reflect the energy of the new company. Spatial formality is broken down with curvilinear geometry and materials inspired by nature and the vernacular architecture of the tropics. 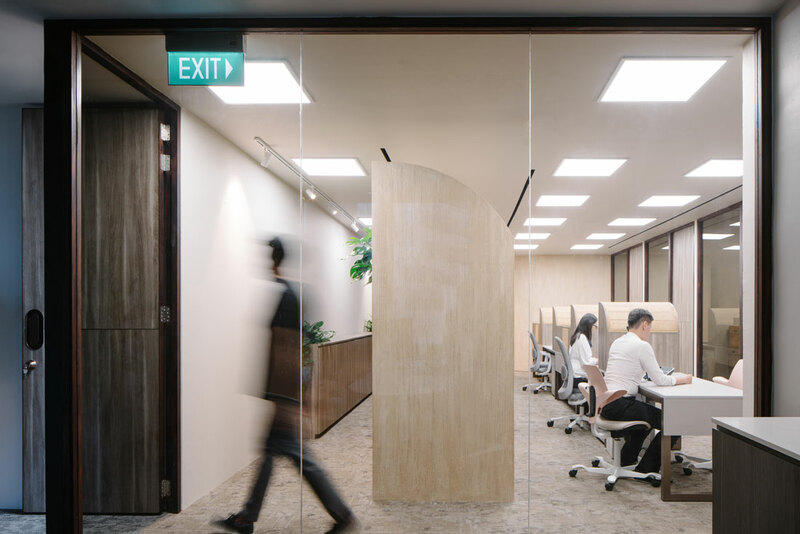 “This was purposefully designed with the spatial branding of the office in mind as regional professionals providing personalised legal services,” says Lim. 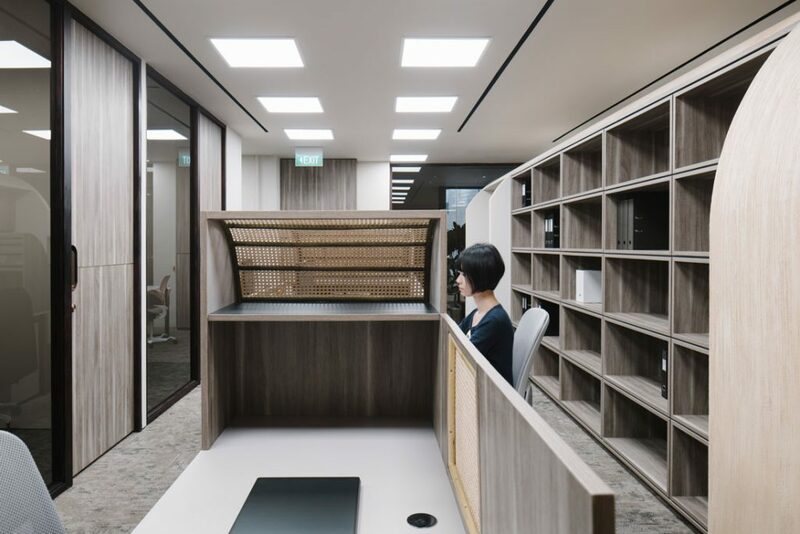 He tucked the private offices for lawyers against the walls, and stretched a cave-like form across the centre as an architectural ‘spine’ dividing private space and public circulation. It also enhances workflow efficiency as it combines various functions into one structure. 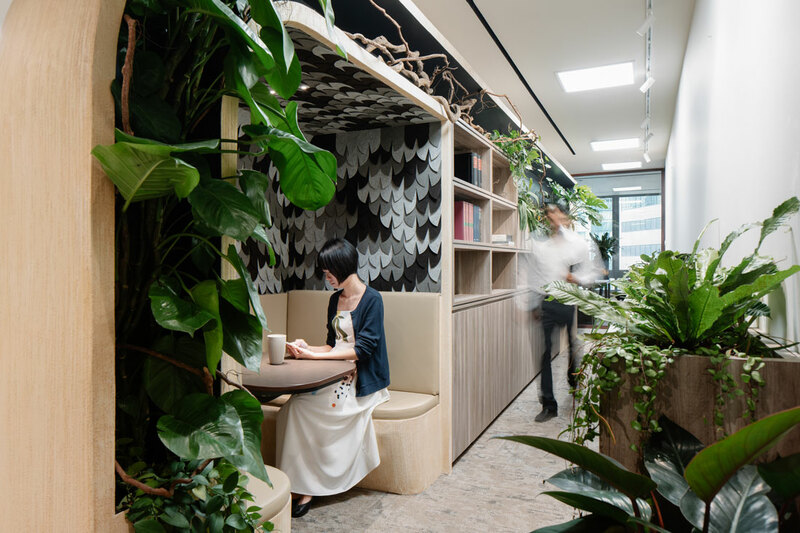 Storage, shelving, the printing station and an informal meeting niche sit within the cocoon, crowned by a trail of verdant green. 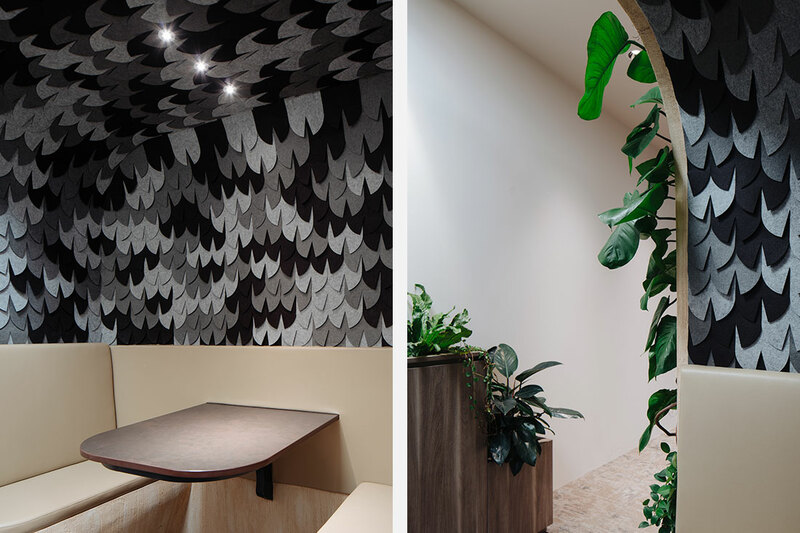 In the meeting niche, 1,000 laser-cut felt pieces in abstracted leaf shapes address acoustics while reinforcing the nature theme. 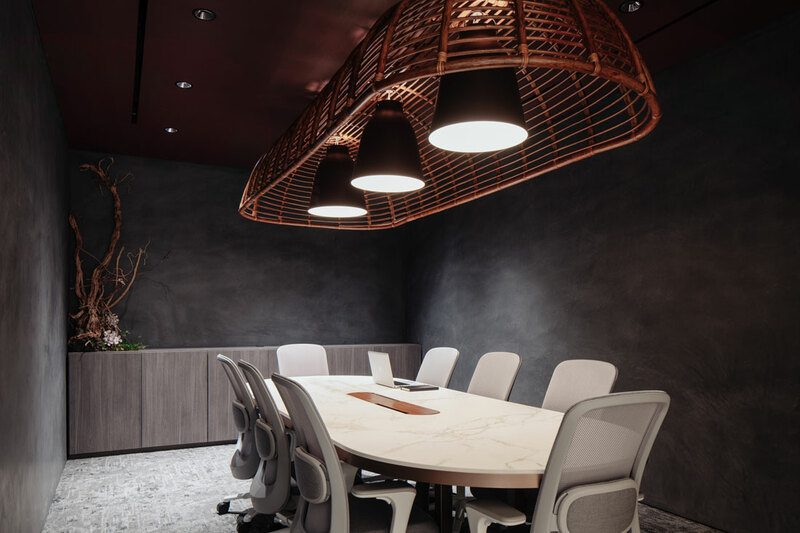 This is reiterated with a rough stucco finish inspired by natural landform textures, and the creative use of rattan in custom furniture, worktable partition screens and a canopy over three Fritz Hansen Caravaggio lamps in the meeting room. In the latter, a charcoal-coloured painterly finish and sculpted walls were inspired by vernacular communal longhouses. 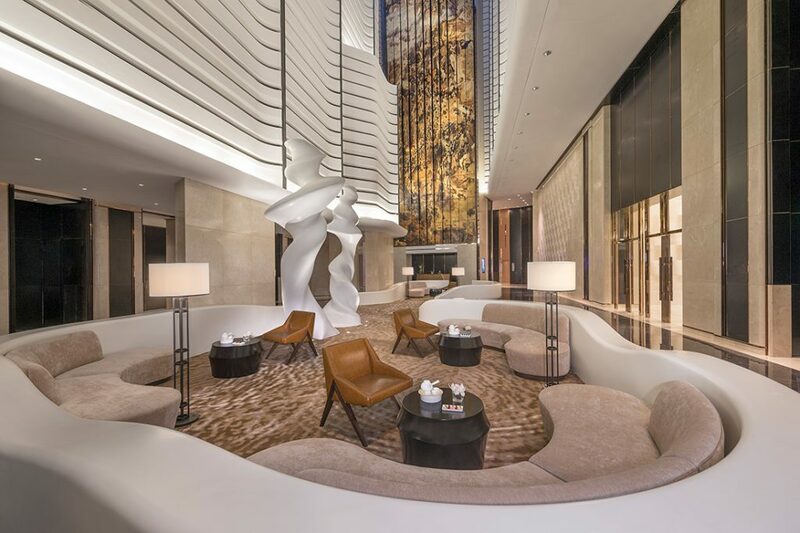 The cosy ambience is reminiscent of the interiors of a primitive hut, says Lim. 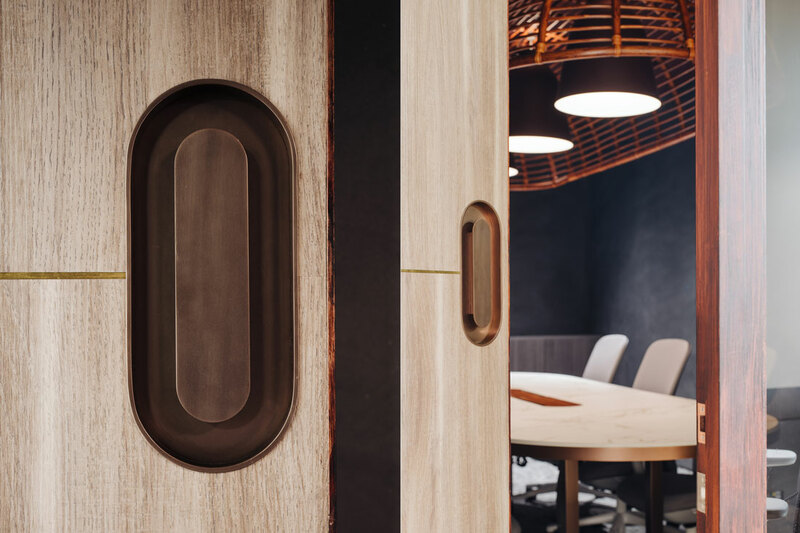 The homage to heritage is matched by a commitment to quality construction, with local craftspeople from disappearing trades engaged to make the bespoke rattan fixtures. 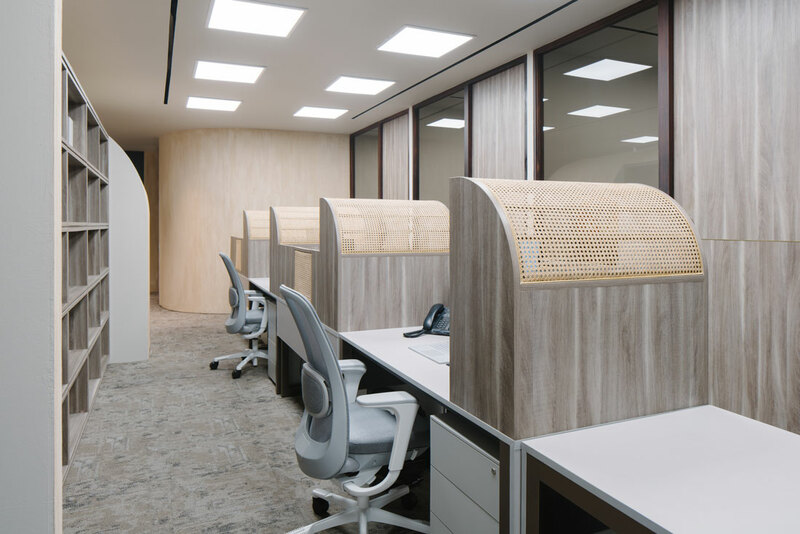 The craft spirit continues in the bespoke design for the meeting table, work cubicles, desks and even door handles that coordinate with the overall visual branding of the office. Having plants in offices is no rarity but sustaining them in a space with little natural light is challenging. Lim chose hardy plant cultivars and hybrids that can thrive in indoor environments. 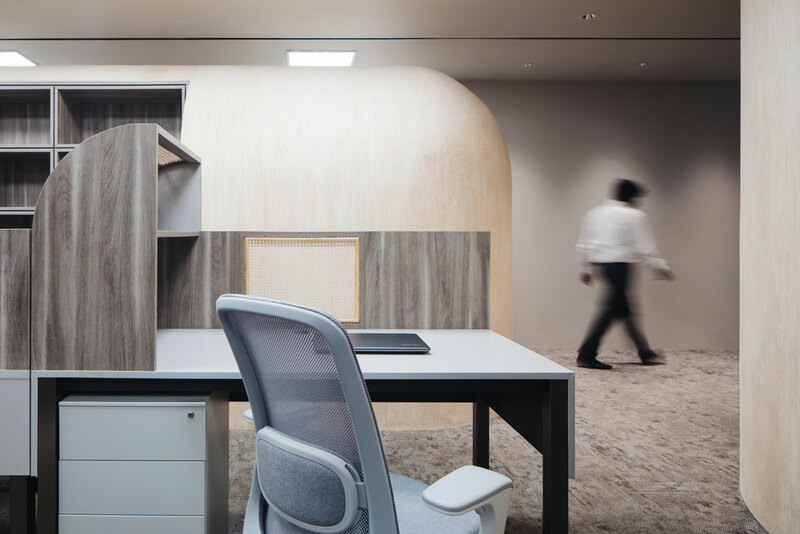 While visually comforting for an intense work environment, the placement of these pockets was strategic as they adhere to feng shui principles, Lim highlights. Positive user feed back shows the success of Lim’s humanistic design: new and returning clients are enthusiastic in using the unconventional meeting room; the meeting niche is well utilised for short meetings where clients just come to sign legal documents and as a staff breakout and lunch spot; and most importantly, staff are taking a personal interest in the office flora. Photography by Khoo Guo Jie | Studio Periphery (courtesy of Studio SKLIM). 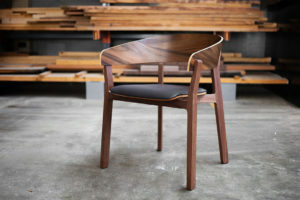 Furniture: HAG chairs supplied by Flokk; Metal Cabinets by Varl; custom desks, tables and cubicles; Muuto cushions on sofa. 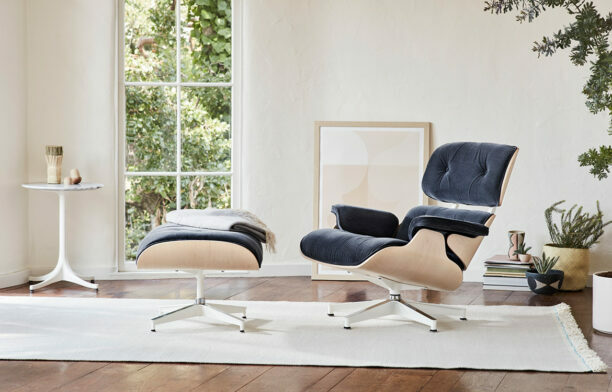 Lighting: Fritz Hansen ‘Caravaggio’ pedant and floor lights; general lighting by 42 Degrees Asia. Rattan and metal work: Malaysian suppliers. 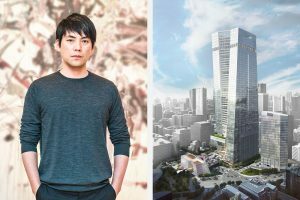 Partner at OMA New York office Shohei Shigematsu shares his observation on cities, today’s client-architect collaboration and how studying food culture influences his architectural approach.